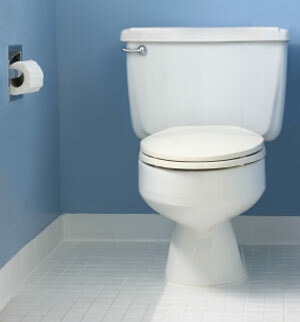 Are you thinking of installing a toilet yourself? Before you buy a toilet or decide to install a toilet yourself, there are a few things about installing toilets that you should know. Toilet packaging includes a template to ensure proper hole and rough in placement. The toilet is then bolted to these holes after applying the wax ring to the toilet rough in. The tank is fastened to the bowl and the internal mechanisms are installed. The water supply is attached and turned on. Considering the advanced technology of today’s toilets the installation process has become more complex. Like any other product on the market, toilets have undergone evolutions in design, style, color and technology. More than a dozen manufacturers around the world build toilets with prices ranging from budget friendly to extravagant and with more complex mechanisms than the standard gravity flush. 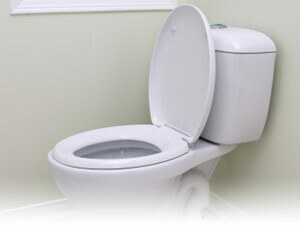 Toilet bowls are round, oblong, elongated or compact elongated which means the rough in or hole in the floor through which contents are flushed can be anywhere from 8 to 14 inches away from the wall. Certain models now flush backwards through the wall. This is an important measurement to know when considering replacement of a toilet. Tanks can be rectangular, rounded, low profile, separate or tank/bowl one-piece combinations. One-piece models eliminate leaks between the bowl and the tank and subtract one step in the installation process. Hatbox models require no water tank at all and flush by means of electronic sensor. Consumers are not confined by gravity flush mechanisms alone. There are various air powered, water jet powered and electronic flushing devices incorporated into newer models. Some models have compressed air that assists with water pressure to eliminate solid wastes more efficiently. Other models have larger 4” flush valves that allow more water to simultaneously force wastes out of the trapway. Water saving mechanisms provides a 2-button system whereby solid waste is eliminated using 1.6 gallons of water and the other button only requires 0.8 gallons of water to rid liquid waste. Electronic models have sensors that automatically engage a flushing mechanism without the need for a user to press a lever or push a button. A number of models combine a larger flush valve with a larger trapway guaranteeing the consumer will never have to deal with a stopped up toilet again. Demonstrations and videos show how this technology allows just about any object to completely flush without blockage. Elaborate toilets include a seat that comes equipped with a nightlight that illuminates the bowl, a bidet for cleansing, a deodorizer and built-in heater to warm the seat. Functions are controlled by a panel on the seat, a remote control or wall mounted function panel. Automatic options include lid sensors and electronic flush mechanisms. The bottom line is that depending on the type of toilet you want to install, the degree of difficulty will vary and you may want to just hire a plumber to insure that your toilet is installed correctly. In addition to installing a new toilet, learn more home installation tips, such as how to install a dishwasher. Considering home improvement to make life more simple? If your home is below the elevation of your municipal or city water lines a sewage lift station may be able to replace your need of a septic system.